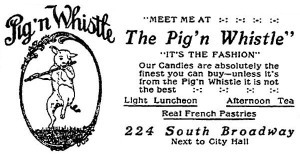 The Pig ‘N Whistle – renovated on Hollywood Blvd or rather reconstituted a few years back into something resembling what it looked like back in the 1920’s when it was neighbor to the Egyptian Theater – itself now reconstituted into something resembling what it looked like back in the 1920s. 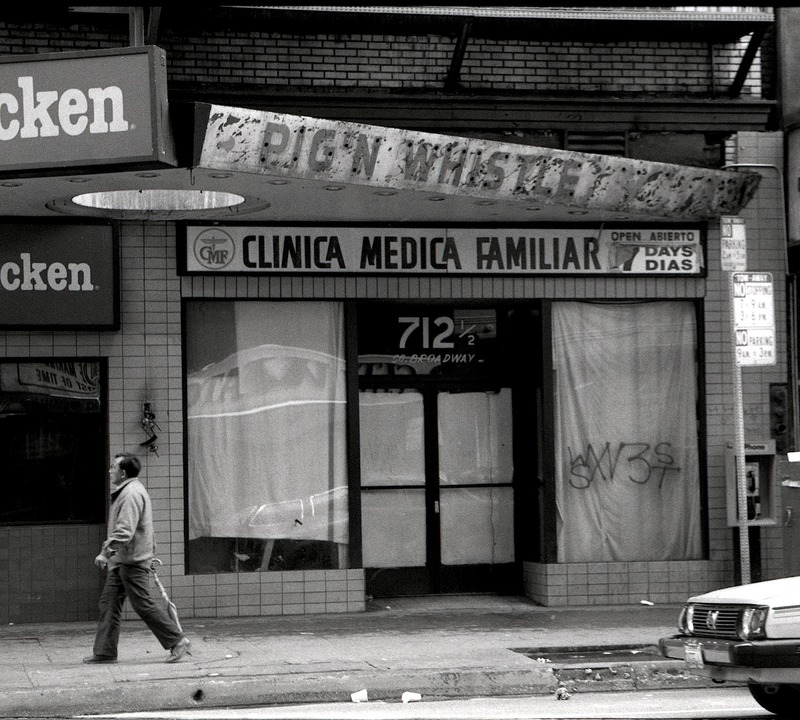 But one day in 1998 – years before both reconstitutions had taken place, I was walking Broadway Blvd in downtown Los Angeles when I saw an old Pig ‘N Whistle sign fighting to reassert itself behind a coverup job by KFC. I like to think that for a moment the pig was stronger than the chicken and pushed the half-baked bird off its perch, showing off to anyone who might have noticed the location of one of the many old & long deceased P ‘N W restaurants.